Don’t Miss Historian Michael Wood’s Lecture on John Thomson’s Photographs of Late Qing dynasty China! Come and learn all about China and John Thomson from historian Michael Wood – for FREE! 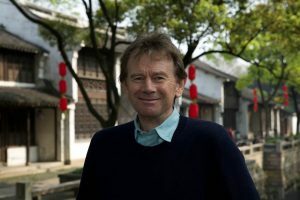 Historian and film maker Michael Wood reflects on Thomson’s amazing and moving images, the greatest photographic record of the people of Late Qing dynasty China and the role they played in presenting daily life in China to the Victorian public.